"This bread is also known as Bible Bread or Fasting Bread. This version does not use beans; instead it contains cooked lentils and several whole grain flours. You may have to visit a health foods store to find some of these ingredients." Place lentils in a small saucepan, cover with water and cook until soft. Drain and set aside to cool. In a small bowl, dissolve yeast in 1/2 cup warm water. Let stand until creamy, about 10 minutes. Place the cooled lentils in a bowl and mash. Mix in olive oil, honey, salt and remaining 4 1/2 cups warm water. In a large bowl, mix together whole wheat flour, barley flour, soy flour, millet flour and rye flour. Stir the yeast mixture into the lentil mixture. Beat in 2 cups of the flour mixture. Stir in the remaining flour mixture, 1 cup at a time, beating well after each addition. When the dough has pulled together, turn it out onto a lightly floured surface and knead until smooth, about 8 minutes. Lightly oil a large bowl, place the dough in the bowl and turn to coat with oil. Cover with a damp cloth and let rise in a warm place until doubled in volume, about 1 hour. Deflate the dough and turn it out onto a lightly floured surface. Briefly knead the dough and divide into four equal pieces and form into loaves. Place the loaves into four lightly greased 9x5 inch loaf pans. Cover the loaves with a damp cloth and let rise until doubled in volume, about 40 minutes. Meanwhile, preheat oven to 375 degrees F (190 degrees C). Bake in preheated oven for about 1 hour, or until bottom of a loaf sounds hollow when tapped. FIRST TIME BREAD BAKER HERE! 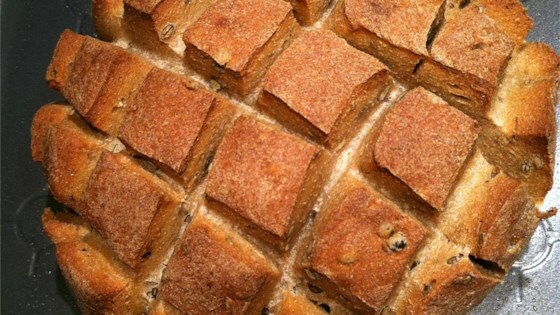 Loved this bread. Super healthy, tasty and dense. Tastes great with PB&J and goes well with a nice bowl of Split Pea soup! Very good ezekiel bread. I have to half the recipe otherwise it is just too much bread.